‘Body Pressure’, a 1974 performance piece by Bruce Nauman. 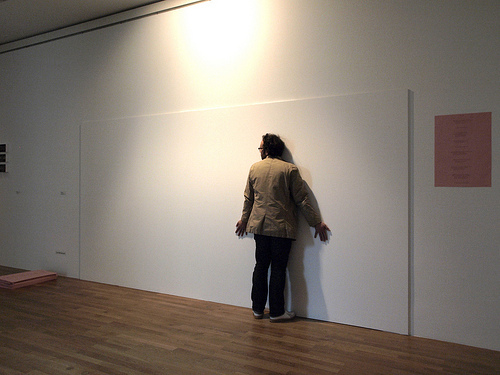 The performer is instructed (through a poster hung on the wall) to press himself against the wall in various positions. The poster is also a free edition. The text from this poster is below.